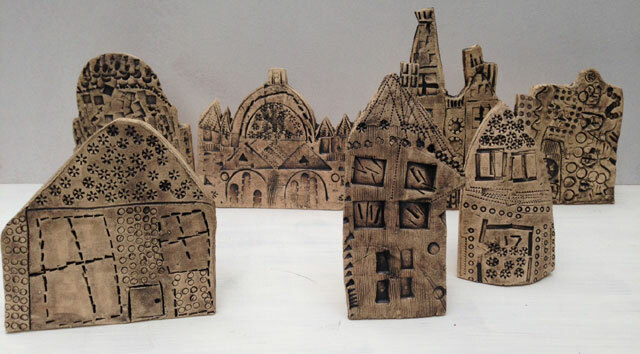 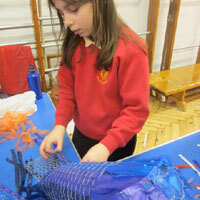 This was an almost three week extravaganza of 3D art workshops tailored to suit each class and with lots of materials the pupils and teachers hadn't used before. 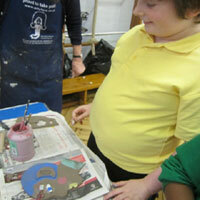 The results are now displayed around the school and are colourful, sculptural and exciting to look at. 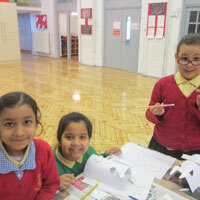 "Working in a different mediums and with different years every day we have ended up with lots of beautiful work that I hope will inspire, interest, amuse and excite the kids for many years." 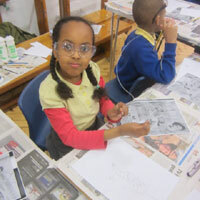 Nearly every class had an artist to look at and to emulate. 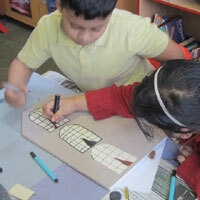 The theme was the body. 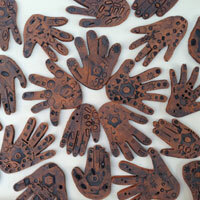 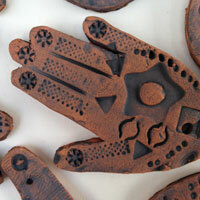 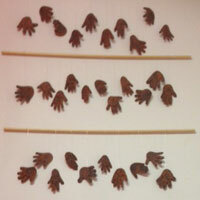 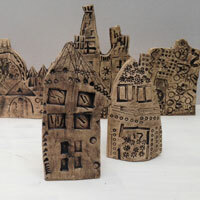 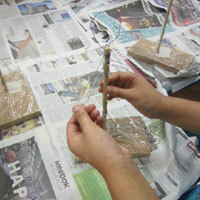 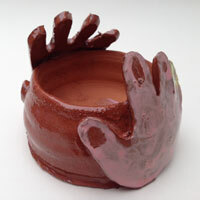 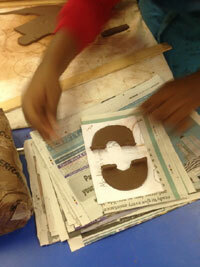 The youngest children drew around their hands and cut them out of terracotta clay, pressing patterns and textures in. 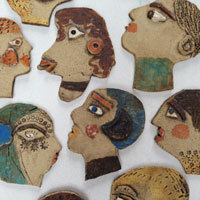 These were made into a mobile that now 'sings' when moved by a breeze. 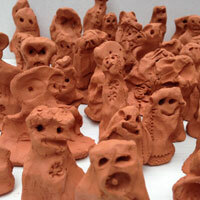 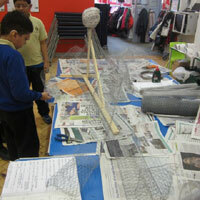 Other young ones made figures inspired by Antony Gormley's Field for the British Isles. 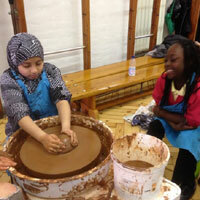 It was great to see them enjoying clay so much. 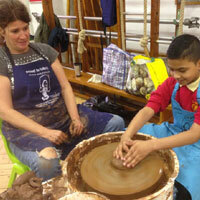 Alice Mara came in to teach Yr 6 how to throw and they all threw a pot. 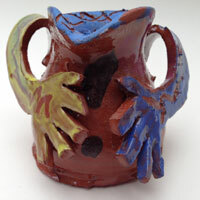 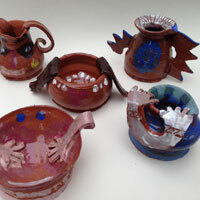 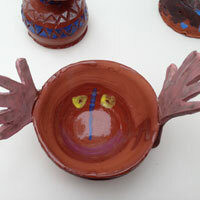 The next day they then decorated their pot with appendages and slips and scrafitto, inspired by Picasso's body pots. 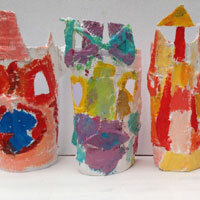 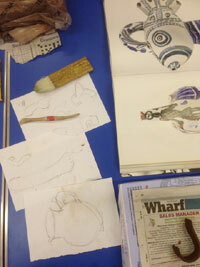 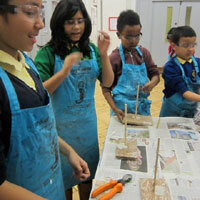 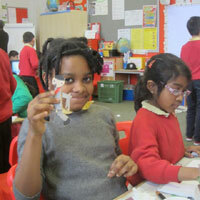 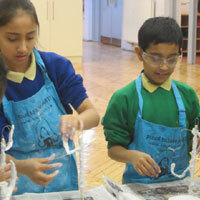 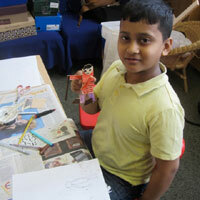 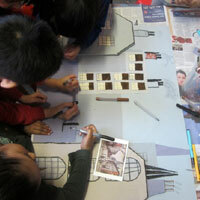 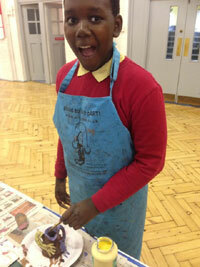 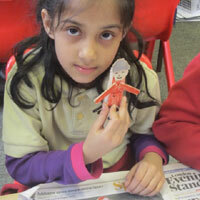 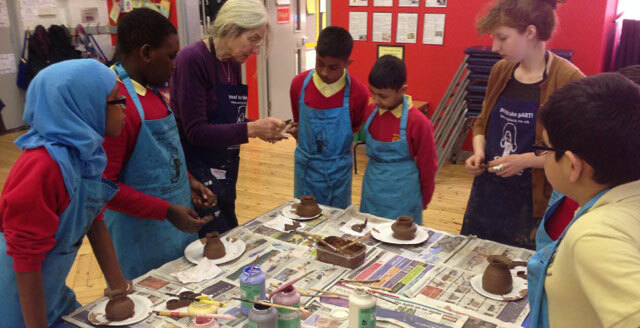 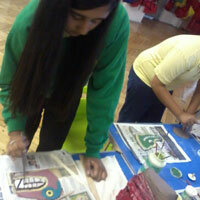 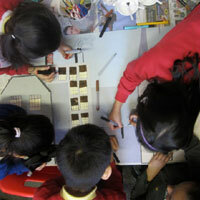 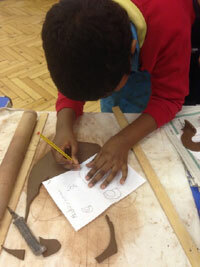 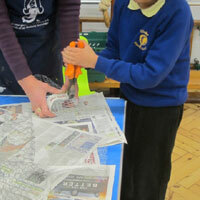 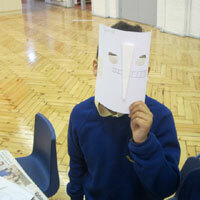 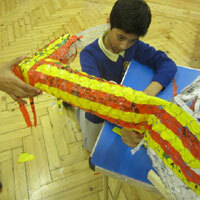 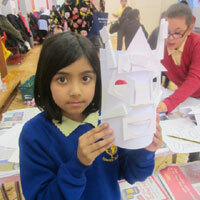 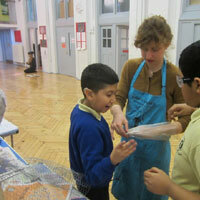 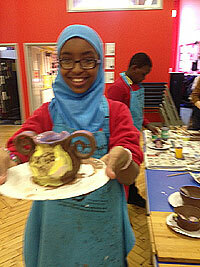 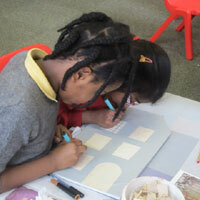 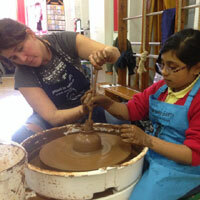 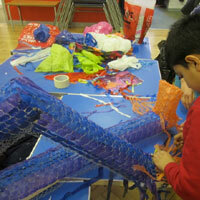 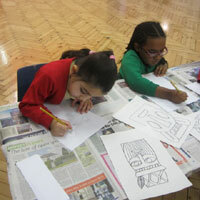 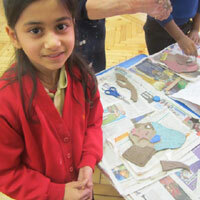 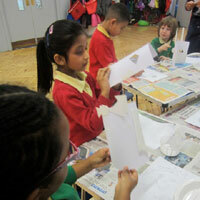 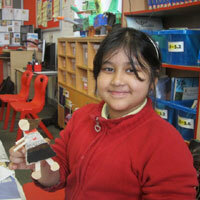 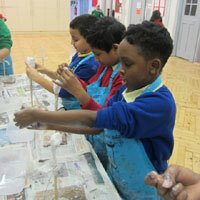 "The children are filled with enthusiasm and excitement whist taking part in the art projects - it's great!" 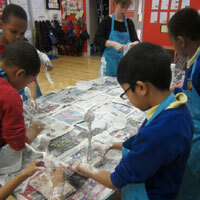 "This year I volunteered at Globe School working with the children to create their version of Henry Moore's reclining figure. 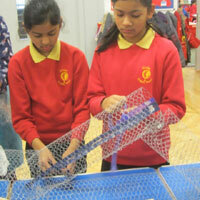 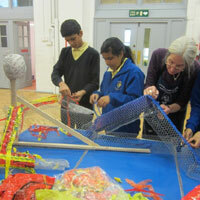 The children seemed to enjoy the challenges presented by the method of weaving plastic bags through chicken wire. 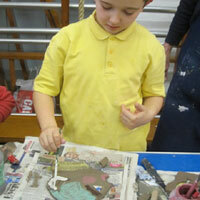 A fiddly job! 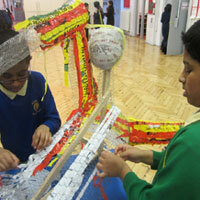 The final piece looked fantastic and even better it was made out of recycled materials." 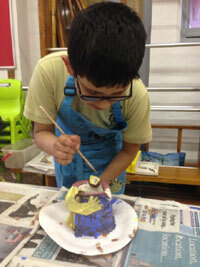 "I love art, working with artists is one of my favourite things." 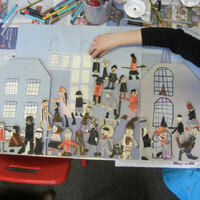 "The art around the school looks fabulous, it can be seen art is so important at Globe, and makes it a better place."